Home(Not So) Wordless Wednesday – 1st Sunday at Work? (Not So) Wordless Wednesday – 1st Sunday at Work? Was April 1 the first day my great uncle James Pepperney went off to work? Was it the first Sunday he worked? I’m not 100% sure the meaning of the caption, however April 1, 1923 was a Sunday. James was 16 years old, assuming this photo was taken on that date. I’m equally not as certain where he would have worked at age 16. If you have any insights, leave a comment! 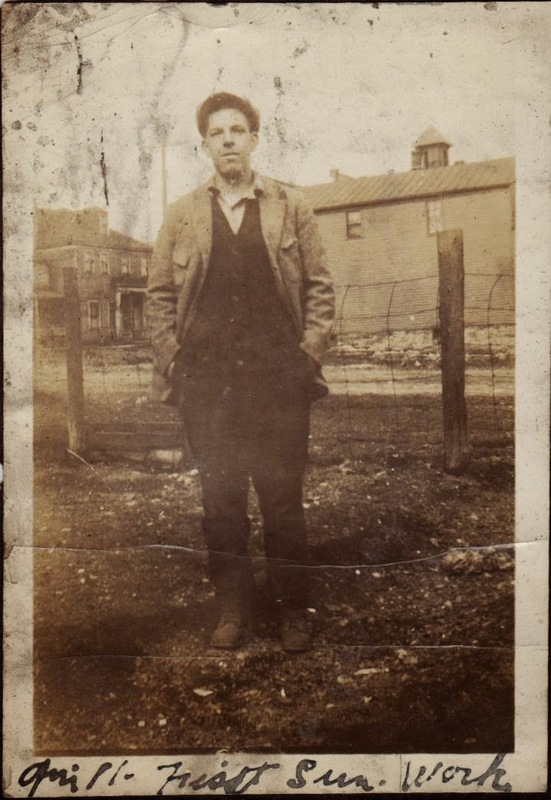 James Albert Pepperney Sr. (1906-1999), Photograph, taken in unknown location, probably on 1 Apr 1923; digital image, photocopy of original, scanned in 2013 by Joseph Lowry; privately held by Mary McCaffrey, [address for private use], Canton, Ohio. Man wearing dark pants and vest, lighter colored jacket and cap. Provenance is Charles Lowry family to Mary McCaffrey.